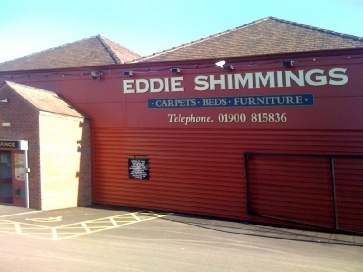 Founded over thirty years ago Eddie Shimmings is a family owned business, now being managed by Eddies son Garry Shimmings. It is the biggest store in the West of Cumbria supplying the local community with Beds, Furniture and all types of Flooring. Housed in a thirty thousand square feet building Eddie Shimmings offer a large range of beds and furniture and are proud to be the largest stockists of Silentnight and Rest Assured beds in the area. All staff have carried out an extensive sales training programme and are well versed in all the features and benefits of the products on display and are more than happy to help customers in a no pressure environment.